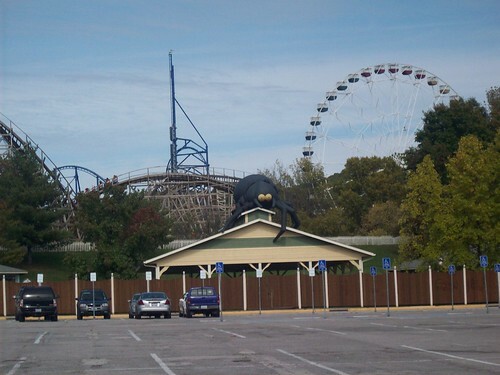 As I start making plans for my visits to the St. Louis Six Flags (which I still want to call Six Flags over mid-America), I realized that I joined this forum after my trips last year. 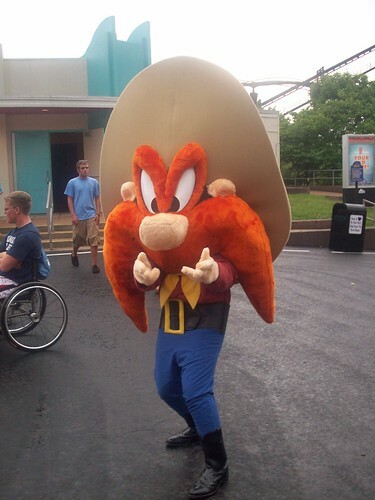 So I thought I would share my photos from Six Flags. 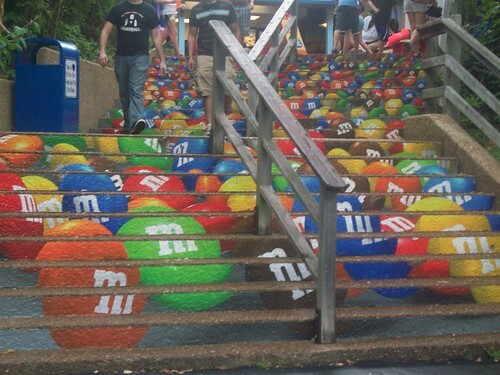 I love the M&M steps. 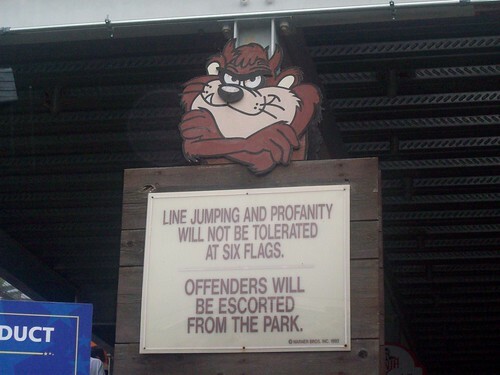 Do all Six Flags have these? 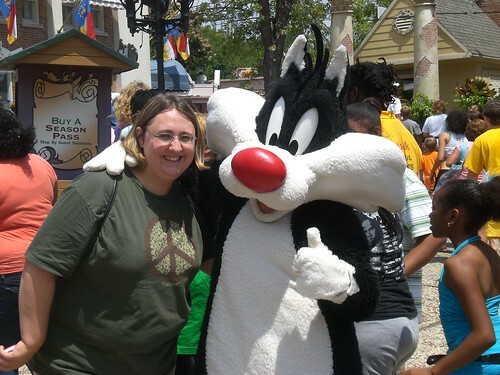 I met Sylvester the Cat! 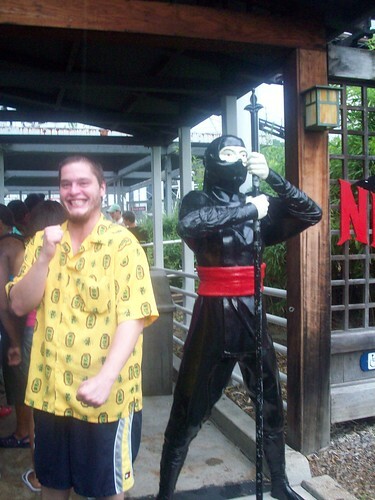 My boyfriend is all excited about riding the Ninja. I am not sure why because it is a very mild coaster...but fun! 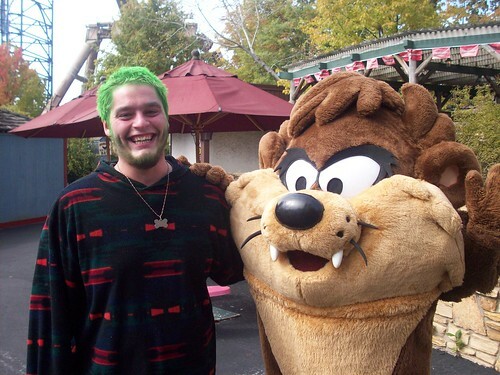 The second trip to Six Flags was for my birthday in October while Fright Fest was going on. This day was a lot more fun! It was just Shawn and I (his son had returned to live with his mother) and we walked onto every ride. All of the water rides were closed and it was a chilly day. Shawn dyed his hair green just for the day. So when you see him with green hair, realize it was just for fun for one day and he washed it out later. This Taz was all about Shawn's green hair and kept following him around until we took a photo. It was SOOOO funny!! I am not a big fan of "Mr. 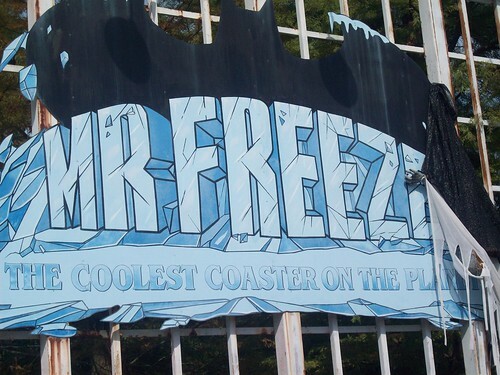 Freeze" (which is the blue thing sticking straight up in the first photo) but I will ride it. 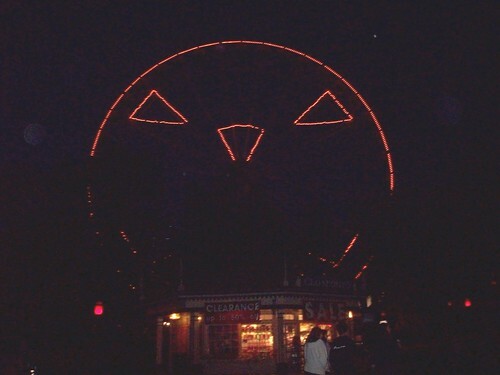 At night they make the big ferris wheel into a jack-o-lantern, but it hard to photograh because of all the trees that are in the way. Oh well...there are some of my photos. Enjoy! Wishin' I was at WDW. Hey thanks! 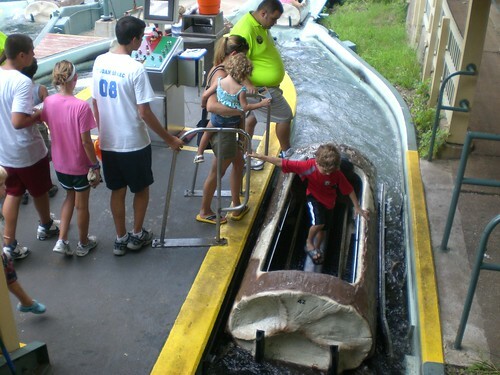 I grew up in southwest Missouri and when I was a kid we went to Six Flags Mid-America one Summer. 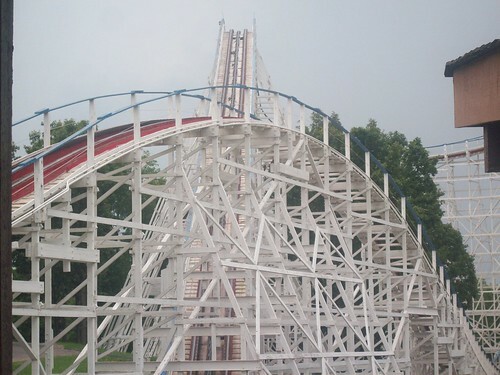 The Screamin' Eagle was legendary. Glad to see it's still around. Thanks for sharing your pics from the park. Brought back some memories!